Every year on Labor Day weekend over 100,000 visitors travel to the town of Tahlequah, Oklahoma to celebrate a uniquely Cherokee event — Cherokee National Holiday, also referred to as Cherokee Homecoming. The normally small town of just over 16,000 people welcome Cherokee and non-Cherokee from all over the world with festivities to celebrate the September 6, 1839 signing of the Cherokee Constitution. 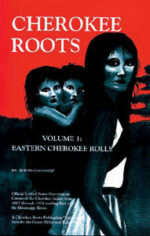 Following the Trail of Tears, 1838-39, the Cherokee Nation was a tribe fractured in many ways. The Trail had a devastating effect on the Cherokee people, with many lives lost and families torn apart during the long journey. Survivors who reached Indian Territory were struggling to reestablish their lives in a new land. Governmentally, the tribe struggled to establish a balance between the Old Settlers who’d come to Indian Territory before the Trail and had already established a government, courts, and schools; and the new arrivals who’d been forced west on the Trail. Tribal leaders representing both the Old Settlers and the new arrivals were anxious to establish a combined government which represented all Cherokee Nation citizens, and they worked tirelessly to that end. They declared Tahlequah the new seat of government, abandoning the Old Settler capital of Tahlonteeskee, and on the grounds of what is today the historic Cherokee Nation Capitol Building the Cherokee Council met to debate the details of law and governance as well as adopt a new constitution. Now, over 175 years later, the Cherokee Nation honors that historic time of triumph over adversity with three days of celebration from Friday until Sunday on Labor Day weekend every year. With about 50 events, there’s plenty to do and see. Events take place all over Tahlequah and nearby Park Hill. In downtown Tahlequah you can watch the parade, listen to Cherokee National Youth Choir, attend the Principal Chief’s State of the Nation Address, and visit the Armory to see the Cherokee National Holiday Art Show. Out at the Cherokee Nation Headquarters, Cultural Grounds, Casino, and Sequoyah High School you can participate in the Holiday run, free feed, and intertribal powwow, as well as watch the fireworks and the stickball exhibition game. And while you’re there, swing by the Restaurant of the Cherokees and Cherokee Nation Giftshop. A few minutes east of tribal headquarters, out at the historic grounds of the Cherokee Heritage Center you’ll find arts and crafts, games for children, storytelling, a marble tournament, and blowgun contest. While there, tour Diligwa, the recreation of a 1710-era Cherokee village, and inside the museum see the amazing art submitted to the Cherokee Homecoming Art Show as well as a moving exhibit about the Trail of Tears. Incredibly, those are just some of the events taking place. For a full list, check out the Cherokee Phoenix Holiday Guide. If you’re near northeastern Oklahoma during Labor Day weekend, this event is not to be missed. If you’re intrigued and want to plan a trip to the area for a future Holiday, remember to book your hotel early — rooms rent fast for that weekend.